Light is a creation. It is the result of various forms of elements mixed in specific ways giving off energy that our human eye or human skin senses. And though our human ear is not sensitive enough to hear its energy, nonetheless if amplified, the eardrum could hear it. Light can also be smelt if the correct interaction of elements and energy are taking place. Light is one huge paintbrush of creation as we sense it. In so many ways light is life. As if by magic a dark space or dark room is transformed completely by just one tiny beam of light through just one window. By an opening no larger than a dime, life’s brilliant colors bursts through from the outside and reforms equally intense inside. This is an effect described by the Greek philosopher Aristotle in the 4th century BCE. It became a technique known as camera obscura and it has fascinated the beholder ever since. Inside the stone walls of Castelgrande of Bellinzona at Ticino, Switzerland the vivid colors of camera obscura (Latin for “dark room”) can been seen projected onto the opposite walls of the fortification arrowslits where archers fired their arrows through thin apertures down upon their invaders. Red roofs and green trees beyond the slits paint themselves on the castle corridors as if more windows are present. 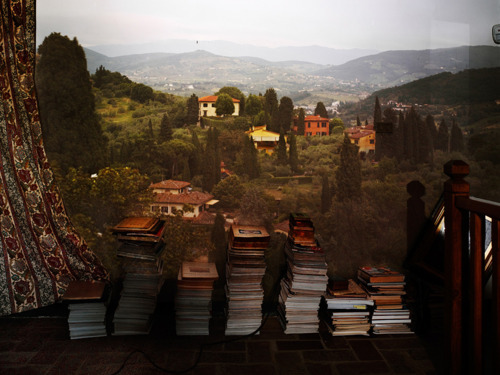 Teacher turned photographer-artist, Abelardo Morell took a classroom art project of the effect, utterly captivating his college students and progressively turned it into a career of dynamic grandeur as seen in these photographs of his work. Many assume the 17th century etchings and artwork of Leonardo Da Vinci, Johannes Vermeer, or Giovanni Canal were divinely inspired. But they too used the primitive method as an aid for their creations. In reality, all non-digital cameras have evolved from camera obscura. The mechanics of the method are simple if you like pictures upside down. 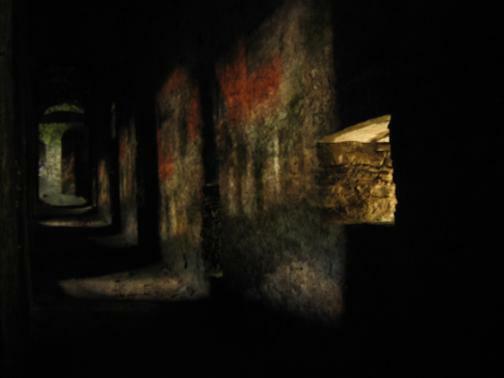 Light rays from an object or objects squeeze pass a pinhole into a light-tight dark chamber. On the opposite side is portrayed the inverted image of the object(s). Building your own camera obscura is surprisingly simple as well. In as small as a milk carton, a tool shed, or as large as an aircraft hangar, pinhole cameras can draw in any vistas. During the late 19th century camera obscuras became popular throughout the United States and Europe. 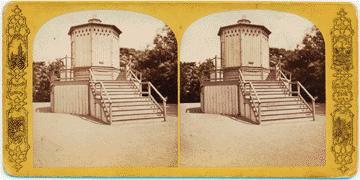 Central Park in New York City once held a gazebo-like building in the 1870’s operating the phenomena for the public. In Irvine, California a large public park replaces what was once the U.S. Marine Corps. El Toro Air Station. Through The Legacy Project six photographers wanted to capture the memory of this historically famous airbase. These six photographers turned one of the fighter hangers into the world’s largest pinhole camera to display on fabric-film (a 3,045 sq ft photograph) the control tower and runways along with the San Juaquin Hills in the background. The complete aperture exposure took about five to ten days. The human eye essentially works the same as a pinhole camera but our brain conveniently reverses the image upright. Based on the size of the pinhole, or aperture, and the distance of the object(s), the sharper or distorted the image becomes; a distance of 1/100 or less is ideal. It is intriguing from a Quantum Physics point of reference that an extremely tiny aperture produces profound diffraction effects on the image’s sharpness due to the wave properties of light. From a purely physio-optical frame of reference, an oversized human pupil letting in too much light is permanently damaging. Conversely, too little light is equally damaging for our body and spirit. Theoretically, a specific balance in aperture is apparently most ideal. Can understanding the intricate mechanics of light offer life principles? This is obvious: manipulating light can significantly alter many things good or bad. 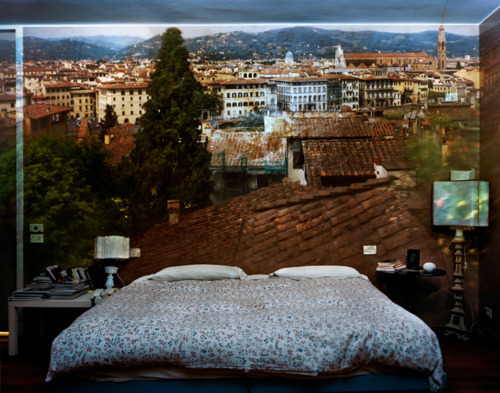 Here, Abelardo Morell captures for us light’s magnificence! 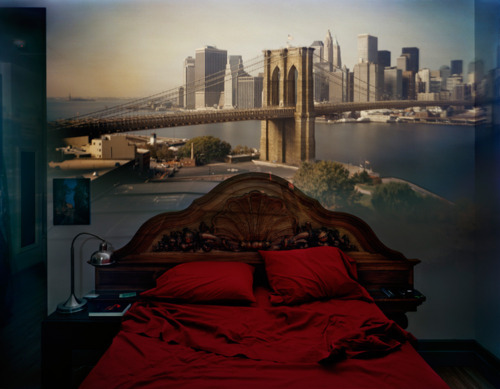 This entry was posted in Music and All Things Art and tagged Abelardo Morell, Art, Camera Obscura, Light, Light manipulation, Photography, Pinhole camera by Professor Taboo. Bookmark the permalink.